Dutton Children's Books, 9780525421900, 32pp. Midge, Pip, and Dot are the hens of Loopy Coop Farm. They want to fly like Rooster Sam, but they just can't seem to do it, even though they try and try. With its surprise ending, short and punchy text, and Stoeke's hilariously expressive pictures, this is a story kids will want to return to again and again. 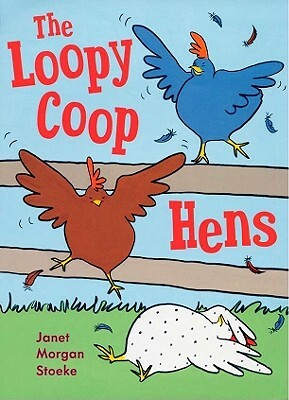 From the author of the hit Minerva Louise series, this boisterous first book about the Loopy Coop Farm hens is also a perfect first lesson in reading.